Recently, Hyundai Forklifts Americas announced the addition of four new models to their product line. These four new products will feature a GM 3.0L engine with 65 horsepower to allow your forklift to easily move loads up ramps and over hills. The General Motors engine, show to the right, is California Air Resource Board (CARB) tier IV certified. This engine will be available in the 5,000 and 6,000 lbs cushion tire and pneumatic tire forklifts Hyundai offers. The models are designated ast 25LC-7M/30LC-7M and 25L-7M/30L-7M. 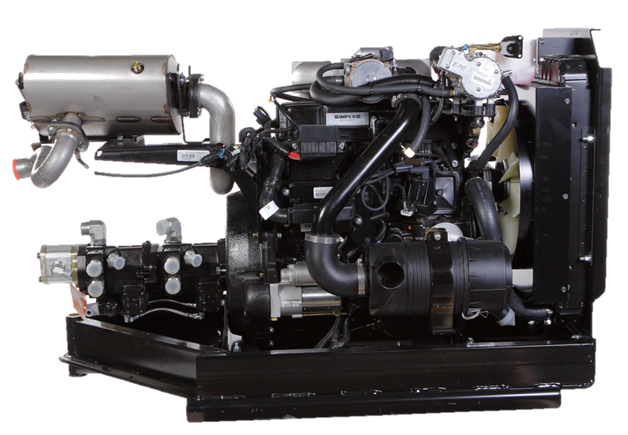 This new engine, as stated earlier, provides the operator with 65 robust horsepower. With this much power at the operators control, these forklifts have the ability to pull grades over 30% and a drawbar pull of well over 5,000 lbs. If you would like more information on this engine, please contact your friendly Hyundai Forklift of Southern California sales team member. They will be glad to review this option with you. I like Hyundai Forklifts is so nice. Good move by Hyundai. They just made their already amazingly reliable forklifts even better.